If you are contemplating or involved in a separation or divorce, contact Angotti & Straface Attorneys at Law L.C. in Morgantown. Our experienced divorce attorneys have over 66 years of combined experienced assisting West Virginia residents protect their personal assets. Unless an existing marital agreement has been prepared, marital property is divided upon divorce according to equitable division laws. Depending on how much you contributed to the assets of your marriage, you could lose a significant percentage of your wealth to your ex-spouse. Essentially, assets are divided 50/50 (with a few exceptions). 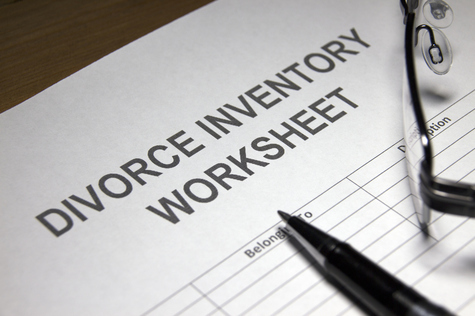 Individuals facing divorce must disclose all assets, debts, and liabilities to the court. Our attorneys offer personalized assistance throughout this process to help minimize stress and expedite the process. We will work with you to inventory your assets, including bank accounts, investments, insurance, income, business interests, pensions, and personal property. If your spouse is willing, our law firm can prepare a separation agreement that will enable each of you to specify family heirlooms, pets, personal property, etc. owned prior to the marriage, and other assets that each of you have an interest in maintaining ownership of after the divorce. How Does West Virginia Divorce Equitable Distribution Work? Non-financial contributions: Housework, childcare, property maintenance, employment and training opportunities abandoned to assist the other spouse with employment and training, and time spent managing finances, investments, etc. Is Your Spouse Concealing Marital Assets in the Divorce Process? Divorce is the most damaging event that many of us may face during our lifetimes. However, the skilled attorneys at Angotti & Straface are here to help mitigate the situation and ensure that you are treated fairly to prevent resentment from haunting you. We are here to answer your questions and stand by you throughout the entire divorce process. If you suspect that your spouse has concealed assets, our full-time research team is available to help discover the assets and present them to the court. Contact our law firm to schedule a complimentary initial appointment to discuss your case: (304) 292-4381.